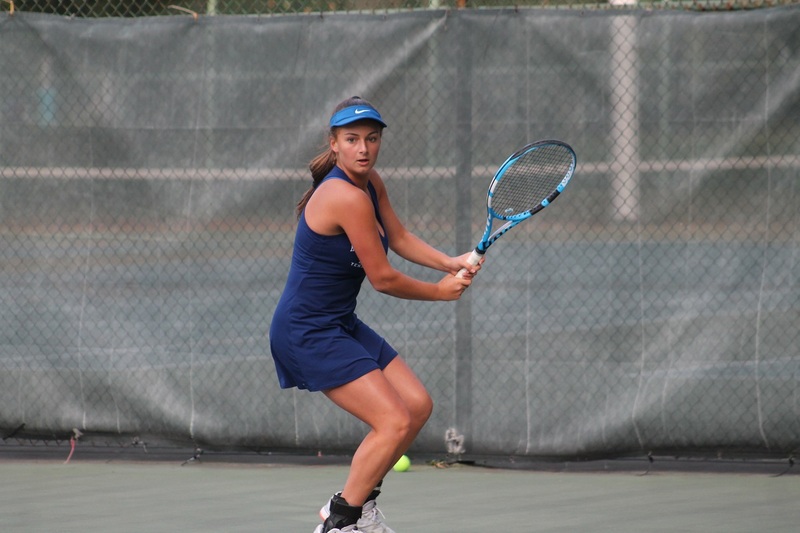 Hewlett sophomore Rachel Arbitman won her second straight Nassau County singles title on Sunday afternoon, defeating Calista Sha of Friends Academy 6-1, 6-4 in the championship match. “I was able to win this as a freshman, and then being able to come back again this year, against different players this time, I think it’s really great to win this two years in a row,” said Arbitman. 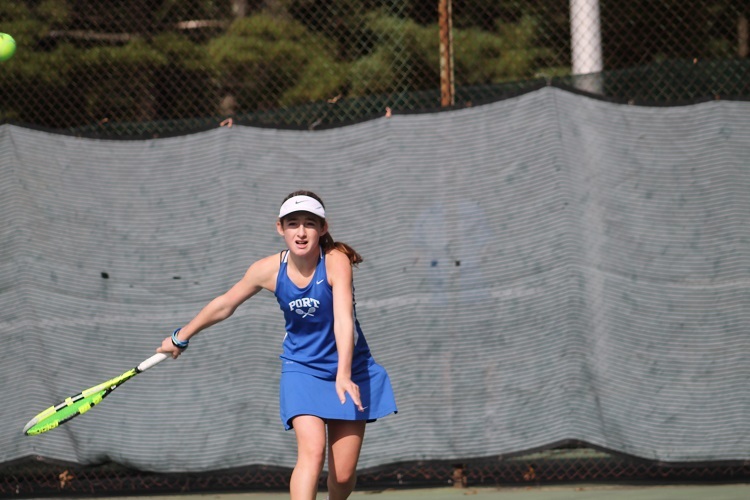 She entered the county tournament as the top-seed after once again compiling a dominant regular season, and continued her roll through the opening rounds of the tournament. But after defeating Port Washington’s Thea Rabman 6-3, 6-1 in the semifinals, Arbitman faced her toughest test yet in Sha. 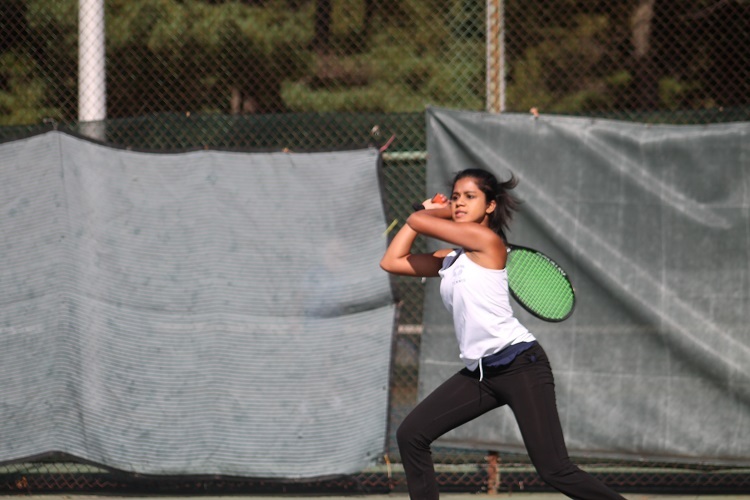 A former New York State Public High School Athletic Association (NYSPHSAA) doubles champion, Sha made Arbitman work for her second straight county title. Serving for the match at 5-2 in the second set, Arbitman had her serve broken by Sha, who then held serve to bring things to 4-5. The Friends’ senior continued to put the pressure on as she set up multiple break points in the 10th game, but Arbitman regrouped to hold her serve and clinch the title. Arbitman now sets her sights on the NYSPHSAA Championships, which will be held from Saturday, October 27 through Monday, October 29 at Tri-City Fitness in Latham, N.Y. She reached the state final a year ago, and hopes to take it one step further this year. 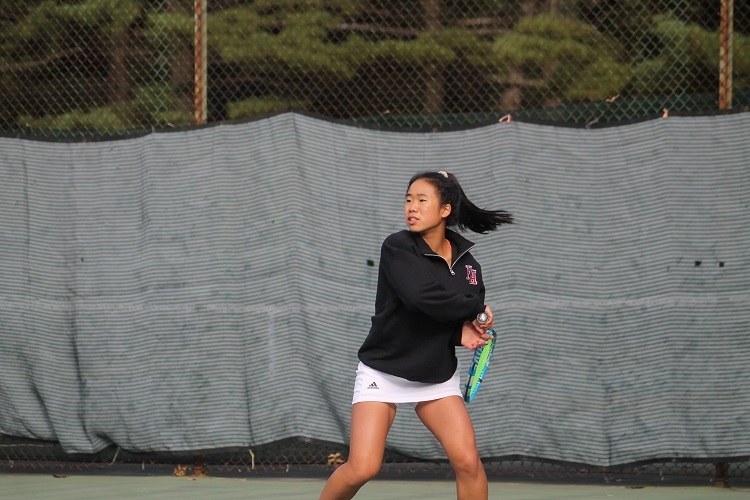 As the finalist, Sha will be heading to the state tournament as will Rabman, who defeated New Hyde Park’s Steffi Antao 6-2, 6-3 in the third-place match.